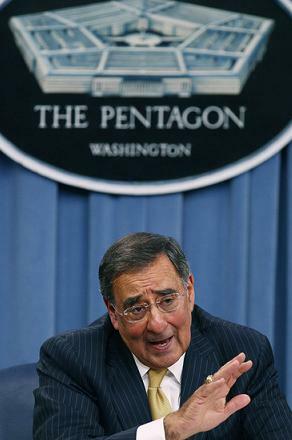 One of the most frustrating things revealed about American culture these days could be seen in the wake of Defense Secretary Leon Panetta’s move to include women in front-line combat. Media outlets immediately sought out comments particularly from women, and particularly from veterans and current service members. The responses portrayed were almost uniformly positive, but most of the responses I saw or heard in media were entirely vapid. In local media, one younger man was asked his opinion, and his response was approximately that it’s “a good thing that women will be treated equally.” Two things about this exercise are particular despicable to me, and I don’t know which is worse: The degree to which the media helps drive public opinion, or the simple fact that public opinion is so easily driven. To me, it’s obvious that far too many of our citizens no longer think before speaking, because that sort of assessment misses the entire point of military service, and the purpose of the military altogether. Simply put, service in the military isn’t at all about you. To those who may be somewhat confused, let me preface the discussion with a few simple facts. The purpose of the military is to be the war-fighting appendage of the nation, and its role ought to be nothing more or less than to obtain victory in the missions into which the chain-of-command thrusts the services, with the goal of victory at minimal cost. Victory first, cost minimization second. Everything else the military does is pointless if it doesn’t accomplish these things, in this order. We could have a much larger military spending our entire GDP in support of it, but that would defeat the purpose of defending the country, since nobody would have the funds for any other purpose. Let us admit then that we wish to spend roughly that which it takes in blood and treasure, but no more, in defending the country and carrying out the war-fighting missions of our nation. Naturally, a military unable to defend the country, or to obtain victory, is pointless in most respects. If the military force we fund is unable to protect the nation, one must ask: Why fund it at all? Do we like parades so well that we will support them with hundreds of billions of dollars, in perpetuity, with no hope that the force we’ve built can defend the nation and win its wars? This would be preposterous, both from an economic and a moral standpoint. Let us then admit that the first mission of the military, and the most critical end for which it is formed is to fight our battles, win our wars, and to do so while spending as little in blood and treasure as we’re reasonably able. Having said this, let us examine the notions advanced by the vast bulk of those approving publicly the notion of women in combat as a matter of fairness and equality to women. Let it be noted at the outset that the purpose of the military is not fairness, and not some contrived notion of radical egalitarianism, but the defense of the nation, and any policy imposed on the force must meet the singular test posed by the premise that the purpose of the military is to win our wars, and to defend our country while exacting the lowest reasonable cost in lives and money. If a policy is implemented that doesn’t serve that end, or improve that goal, we must ask why our leaders would undertake it. I would like for one military logistical analyst or one combat veteran to explain how either of the two goals explained above are augmented by including women in front-line combat. There may be a good deal of emotionally-charged political grandstanding, but the factual answer is that combat effectiveness of units will be degraded by the mass-inclusion of women in combat roles. You may not like reading these words, but they are no less true for your opposition. The entire APFT(Army Physical Fitness Test) is based on a minimum passing score of 180, and a maximum of 300 points. In the Army, this has a bearing on promotions particular from E-4 to E-5 and from E-5 to E-6. I would like readers to observe particularly the vast performance disparity in both Push-ups and the 2-Mile run. Notice that the Maximum Score for women is obtained in Push-ups at the minimum passing score for men, and that the Maximum Score in the 2-Mile Run for women is just eighteen seconds faster than the slowest time acceptable for men. One can argue over how much these differences would matter in support units(although they could, and probably do,) but on the battlefield, and in combat units, this is an unmitigated disaster. What’s worse, the actual difference in the Push-Up event is much greater than these scores reveal, because the average woman is shorter and lighter, both qualities placing the individual at mechanical advantage in the event. A 5’10” male weighting 170 lbs. will on average find it easier to obtain a high score in the push-up event than a 6’2″ male,perhaps slightly more muscular, but weighing 190 lbs. Due to physiological differences between men and women, these vastly differing standards describe a significant disparity in capacity. We can wonder about how much that might matter in a rear area driving a truck, but in a forward area, heaving 100-lbs 155mm artillery projectiles around, it is bound to be quite inhibiting. Climbing in and out of the foxhole, pulling oneself up over walls and barriers, or having to carry a wounded comrade would quickly expose the difference. What one cannot seriously argue is that the average woman serving will always obtain the top scores, or that the average man serving will only obtain the bottom. This disparity describes a vast variance in capability that can be lethal on the battlefield. It is not to say that there is no variance among men, but it is to say that the difference between the average man in the force and the average woman in the force is certain to be substantial. Since the military can only make rules that ultimately describe the average, perhaps rewarding those substantially above the mean, while ejecting those well below it, we must deal with the average, but not the exceptions. 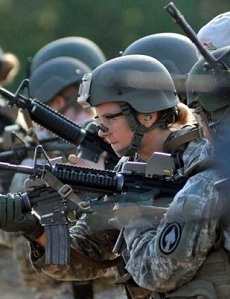 The question then becomes: What does a military combat unit gain and/or lose by including women in direct combat roles? The simple truth is that in terms of the mission, and the likely costs of achieving it, this is an equation that spells potential or even probable disaster. The notion being advanced by those who advocate the idea is that the rewards achieved are social and/or individual. It is said by some that women add something intangible to the force by virtue of their presence, that justifies the additional losses in blood and treasure that their presence will on average impose. That may seem like a nifty argument unless it’s your blood or your treasure being unnecessarily expended, in which case it’s not such a good idea after all, and all the mystical-sounding social “wisdom” loses its ephemeral sheen. The other argument is purely individual, and it is made in terms of notions of equality of opportunity. Let me explain this in simplest terms so that the brutally thoughtless might grasp it: The Armed Services do not exist to hand out opportunities for self-actualization, career advancement, personal gratification, or anything else of the sort. One might obtain some or all of those things through military service, but at the very least, this is and ought remain a tertiary concern for the chain of command. Again, chief concerns must be mission accomplishment and minimal cost, and in that pursuit, the services ought to retain every tool of discrimination at their disposal. Some will misunderstand my usage of “discrimination” as meaning wanton, arbitrary rejection of some people for irrational cause(s.) This is not the meaning I intend, instead applying the usage that describes making a rational choice for rational purposes in the manner one shops for automobiles or smart-phones. In this sense, we all discriminate daily, many times over, and to good effect because it generally results in improved products or services since we will tend to opt for those most likely to satisfy our purposes. Constructing a fighting force is no different, in fact, but just as Samsung can’t sue you for discrimination because you opted for Apple’s “iPhone” instead of the former’s “Galaxy,” the military is usually immune from lawsuits by merely stating their decisions in the context of the best interests of the service involved. What so many people don’t seem to understand is that military service is not an ordinary workplace, to which one can apply at will, and resign at whim. In the civilian sector, one has every remedy under the sun available if there is irrational discrimination, but under the martial authority that is the military, and as an institution for the nation’s defense, such concepts are foreign and irrelevant. It highlights the misunderstanding of what military service is, and isn’t. Too many people in our culture are now possessed of an entitlement mindset, a notion that they too readily apply to the most farcical situation. There is no entitlement to be an infantry soldier. You can sign up for the infantry if you like, and if the Army will let you, but if after completing your initial training, the DoD decides that for the moment, they need more cooks, you’d better prepare to learn the ins and outs of a DFAC(Dining Facility – formerly known as the Mess-hall) because irrespective of the MOS(Military Occupational Specialty) for which you enlisted, you serve the needs of the Army first – not your own. How many very good and able persons have wanted to be pilots in the military only to be told that since their vision requires corrective lenses to be at least 20/20, they are ineligible for that role? Will the Americans With Disabilities Act now be taken to apply to military service? There are people advocating such notions already, but what mustn’t be lost in all of this is the reason the military is given extraordinary power to discriminate on the basis of factors that would not be legally acceptable or morally proper in the civilian population: The function of the military is to keep the rest of us safe. This is why I am so thoroughly disgusted by the coverage of this change in policy given by the media. It ignores the fact that this is a politically-based decision that merits no consideration whatever in a professional military. A professional military would study, objectively – without subservience to politicians’ whims, the impact of replacing approximately half of its combat forces with the average female enlistee. It would not consider the exceptional few who would describe the upper tail of the bell-curve on physical performance, but instead the median performer. Under that scrutiny, this entire notion would be abolished in one minute, because it does not serve the interests of the mission, or the minimization of the mission’s costs in blood and treasure. Our forces must accomplish their missions with as many as possible able to come home alive and in one piece, and that should be the enduring criteria of every person charged with command over troops in combat, from Lieutenant to Commander-in-Chief. What we must not do is to permit the armed services of the United States to be degraded further in its capabilities for the sake of contrived notions of equality that have no relevance on the battlefield. We don’t seek equality on the battlefield with our enemies, but instead seek every advantage, as they do. That’s the nature of war, where a single moment in a single battle can change the fortunes of nations, so that every advantage is precious. How many advantages do we wish to yield to our present and future enemies in pursuit of a nonsensical notion of equality? After all, the only real equality that exists on a battlefield is the one obtained in death. Sadly, if we adopt policies that place more service-members in disadvantageous positions in combat, we will see more equality of the fatal sort too, but that must be the inevitable result when policies are not based on the realities of war, but instead on the basis of the wishes of some impractical, egg-headed “constitutional scholar” in the ivory tower at 1600 Pennsylvania Avenue, and the legion of nit-wits he has convinced to believe that military service is about them. There’s a reason it’s widely considered a “sacrifice.” Notions of equality that interfere with or hamper the military’s mission are among the things one voluntarily surrenders. Editor’s Note: You should not be surprised that this story broke just in time for the Wednesday evening news cycle, because the whole purpose for which this story was pushed to the media at that time was clearly to remove Hillary Clinton’s wretched testimony in the Senate from the position as top story. This is naturally an important issue, but it is news only in the respect that it’s been pushed to the surface as a way to change the subject. Period. Now we’ll argue over this instead of the disgusting dishonesty of Hillary Clinton on behalf of the Obama administration. The Obama administration is signaling that it will overstep its bounds again, this time with respect to Syria. Many in Congress were upset by President Obama’s use of military force against Libya without Congressional approval. This issue again raises questions about when this nation goes to war, what constitutes the actual making of war, and what is an effective limitation on executive authority in this respect. More pressing than this, however, may be an underlying notion put forward by Secretary of Defense Leon Panetta on consultation with our allies and the international community before even talking to Congress. A resolution is being offered that threatens an impeachment should President Obama step outside the bounds of his authority and fail to consult with Congress in order to gain their approval before engaging American forces. 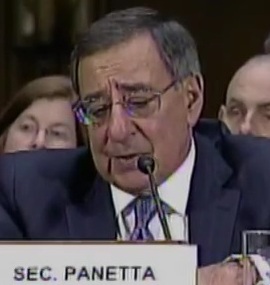 This was Panetta’s response to Senator Jeff Session(R-Al,) during testimony before the Senate Armed Services Committee. There has long been a significant division between presidents and congresses on the use of military force, but this is an escalation of sorts, because what it admits is that the Obama administration is willing to seek permission from international bodies like the United Nations, but not willing to seek approval from Congress. That’s an absurd reversal of precedent in many respect, because the Article I, Section 8 of the US Constitution provides that it shall be Congress that has the authority to declare war. Of course, what Presidents have long asserted is that not all military actions constitute a war by traditional definition, and that various military incursions do not require approval of Congress. For instance, the operational security of some strikes might be compromised if the President had to go to Congress for each relatively small action. There is a certain truth to this, but at the same time, Congress has addressed this with the War Powers Act, that virtually every President has ignored ever since it was passed. There are vigorous debates over the constitutionality of that act, but what remains certain is that when it comes to declaring war, Congress is the proper authority. Instead, the argument revolves around what constitutes a war requiring that declaration from Congress. Congress has itself added to the confusion, by passing resolutions that “authorize the use of force” in various contexts, but they have not issued an “resolution of war” since 1941. If Congress is going to assert its authority, it has a long line of precedents it established by its own intransigence or malingering in the last seventy or so years since it last summoned the will to declare war. This has been part of the case that previous presidents have made with respect to Congressional objections in the last four or five decades. Readers should bear in mind that any such resolution, to carry any force, would need to be approved by the House and the Senate, but that would require the resolution being brought up for a vote. That would effectively require Speaker John Boehner(R-OH) to be in favor of it, or at least willing to put it up for a vote, and I suspect this may not be the case. Boehner has long avoided controversial maneuvers simply because he wants to avoid the possible political fall-out, meaning in too many cases, he has been unwilling to do that which is right in favor of that which he can do in relative political safety. More importantly, it would have to come to a vote in the Senate, and there’s virtually no chance of Senate Majority Leader Harry Reid(D-NV) would ever permit that. This strangely means that Boehner might be willing to bring it up for a vote, since he knows it would go nowhere in the Senate. That would merely continue the trend of Congress doing nothing to sustain its own power in foreign and military affairs, and that’s what readers should expect. There are those who simply cannot avoid rushing in front of a camera, expressing their outrage at the behavior of the Marines in this video that surfaced, showing graphic footage of four Marines in Afghanistan urinating on the corpses of three dead Taliban fighters. Defense Secretary Leon Panetta called the incident “deplorable” and “inappropriate,” but I think the administration’s outrage is inappropriate. These Marines, when captured, are subjected to far worse at the hands of the Taliban fighters, and frankly, it’s time to stop being a bunch of whiners about this. War is Hell, and while we shouldn’t encourage this, it is a natural result of the stresses of combat, but some of us clearly need to harden up. Meanwhile, I have only one remaining question: How is Obama going to handle this? When he issues a statement, will he say that the Marine “Corpse” is investigating? If you want to know why we’re losing in Afghanistan, you need only consider that we’re more interested in prosecuting Marines who used poor judgment in directing their streams of urine than we are in prosecuting our war. If this is to be considered some sort of “atrocity,” then I think we all need to consider who’s really taking the piss, and at whose expense. A Scalpel or a Sword? As you will may remember from the Debt Ceiling debacle in early August, the deal then worked out has some automatic triggers. If the Super Committee created by the legislation fails to produce sufficient spending cuts, those triggers will kick in and cuts will be forced upon Congress. 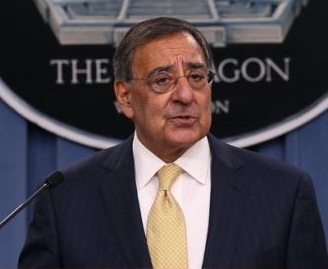 The biggest target of these cuts is the defense budget, and as the New York Times is reporting, it’s Leon Panetta who is now considering what those cuts will be. This is one of the most despicable parts of our current budget morass, and it’s astonishing that nobody much seems to notice: One of the few legitimate functions of government is the national defense, and yet among all the things to be cut, defense will be hit the most deeply. I have no problem with an examination of the necessities of our defense spending, but I’m also aware that while government spends money on all sorts of things for which it has no actual constitutional authority, defense is clearly one of the budget categories for which the federal government exists. In part, this is the result of the can-kicking in which Boehner and House Republicans joined by making their deal with the devil in August, but it’s also the built-in result of generations of governmental growth in other areas of expenditure. What this means is that we don’t have a choice on a year-to-year basis about those items in the non-discretionary budget. We are going to spend to support them, because previous legislation has mandated it. Discretionary budget items are those that are adjusted on an annual basis, and not necessarily tied to previous legislation. You can look at it this way for simplicity’s sake: Non-discretionary spending is comprised of entitlement programs. Discretionary spending is comprised of everything else. In our federal budget, non-discretionary spending is roughly twice the size of discretionary spending. I am certain defense can be trimmed without hampering the nation’s immediate defenses, but I am less certain that over the long run, we can maintain a force capable of deterring and repelling enemies around the globe. Even in the midst of a deep recession, we are having difficulties with recruiting and retention of military personnel. This is because just like any other large organization, most of the defense budget is actually spent on salaries and benefits for our Soldiers, Sailors, Airmen, and Marines. In precisely the same way that the CEO of a large corporation will make cuts to employees first, mainly because it’s the biggest single operational cost, the Defense Department suffers from the same basic problem: Service-members cost a great deal, and a good deal more than their already pathetic pay and benefits represent. Training costs are phenomenal, and the costs of supporting units in the field are huge. Many will suggest, naively, that we simply “buy a few less $400 toilet seats.” While that makes for a good laugh line, the reality is that the defense budget has finally managed to clean up most of those sorts of egregious expenditures over the last decade or so, largely because the Defense Department has had no choice. Still, there are matters that should be examined, like the billions of dollars simply missing, and other problems with big-ticket line items. Nevertheless, in our dangerous world, there is an ever-escalating competition between us and our would-be and real enemies, where high technology will be contribute directly to reducing the number of flag-draped caskets that arrive at Andrews AFB during each future engagement. This sobering recognition is among the reasons that any such spending cuts in the military budget must be accomplished as some might say, “not with a machete, but with a scalpel.” We must be certain that whatever cuts we make do not leave us naked to attacks, and that when we do engage in warfare, our troops are given every advantage we can provide to win with minimal losses. 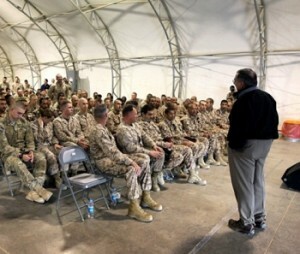 One of the areas in which Secretary Panetta is looking for cuts to defense is in the area of medical and other benefits, in addition to gross payroll. That’s a mistake. We already have difficulties attracting people to serve in the military, and this too can have a dramatic affect on morale, and readiness. In truth, to make the level of cuts they’re intending, nearly $200 billion annually, we’re going to be forced to withdraw from virtually all overseas engagements and forward locations. This poses another danger, inasmuch as we may be slower to respond to crises around the globe, and we may be less able to react when things go awry in one theater of operations or another. We can ill-afford to be caught short again, because the direction of global terrorism is marching toward weapons of mass destruction. The 9/11 attacks of 2001 were just a sample of the sort of mayhem the terrorists around the globe are going to be able to create, and this says nothing of our strategic adversaries such as Russia, China, and several others. This impending doom for the DoD makes plain the problem with our current budgetary priorities. We are spending far too heavily on entitlement programs of every description, and it will no begin to affect our nation’s defenses. There are those who argue that the military should be cut, but they don’t think in terms of scalpels or even machetes, but guillotines. This short-sighted approach is surely destined to create a situation in which we will face increased vulnerabilities on some fronts, and escalating troubles with recruitment and retention. Our fighting forces deserve the best equipment and training we can afford, but now the question is: What can we afford? The answer to this question is likely to be unsatisfactory, because too many politicians derive too much support by virtue of entitlement spending, and while the argument could be made that there is a certain element of the same thing with the defense budget where it comes down to large bases and projects, it’s also true that they aren’t so concerned about the costs in morale and readiness for ordinary soldiers. What the American people must begin to recognize is that we’ve blown our budget not so much by virtue of military spending, but because we’ve over-extended our social spending to such a degree that it is now squeezing out defense. There’s something terribly wrong in our thinking when we look at military spending as “discretionary” but Medicaid as “non-discretionary.” What is our government here to do, after all? Now we’ve been reduced to the near inevitability that a big-government liberal, Leon Panetta, is going to be hacking away at our nation’s defenses. We should all be worried at this prospect.